Plenty o hearts to go around. Trust we all have been enjoying our creative projects in our little worlds ! Mixing red checks with florals. The different shapes and sizes of diecuts for the hearts. EK edge shaper gave a terrific look on the red check dp. Polka dots will never be out of fashion ! Jackson’s Digital Expressions – 3E SIO – Anything Goes + Optional Twist Holtz It Right There (use anything Tim Holtz on your project) and when was the last time any of my cards went without distress ???? Party Time Tuesdays – 3E (2E anything goes wk) – PTT #70 Anything goes! Thank you for visiting me today. I would love to hear what you feel about my little creative world. Please leave a comment so I could visit you too. 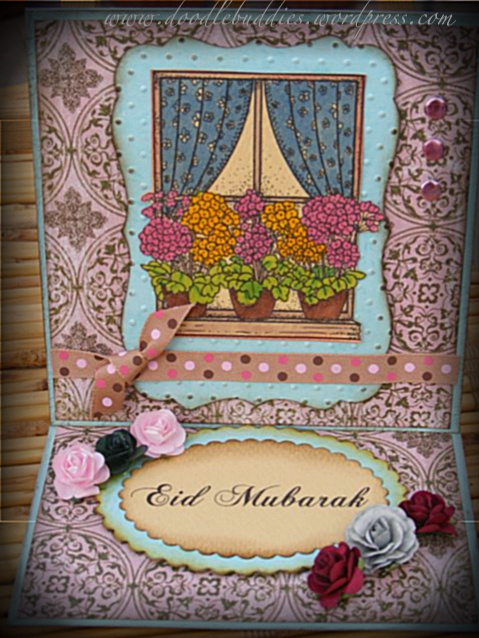 Guest Designer & A Card Making Kit. 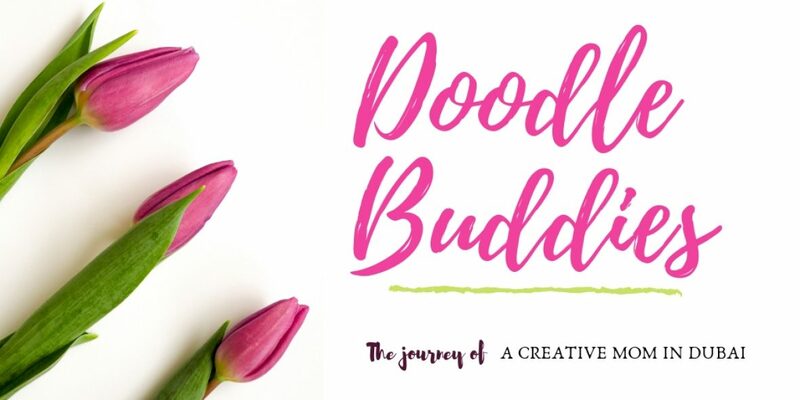 May is always a busy month of the year for me ~ two birthdays, closing in of exam dates and a need for venting my creative energies ! Strangely enough, I find that I’m always super charged creatively more than ever when I am under pressure and short of time ! This month, I am also sharing some good news with you’ll. 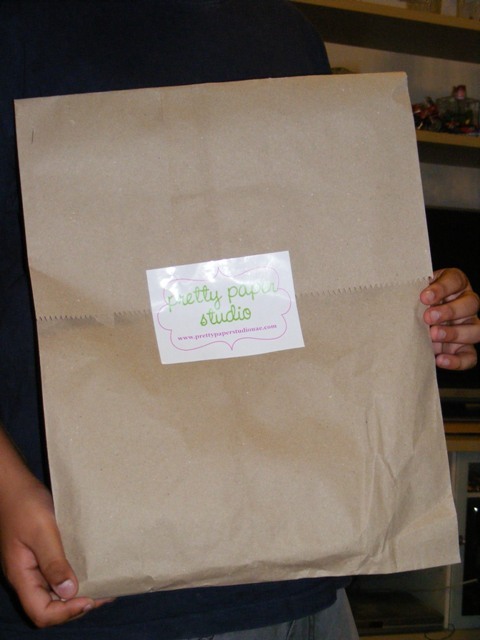 I am so happy to have been chosen the Guest Designer for Pretty Paper Studio. 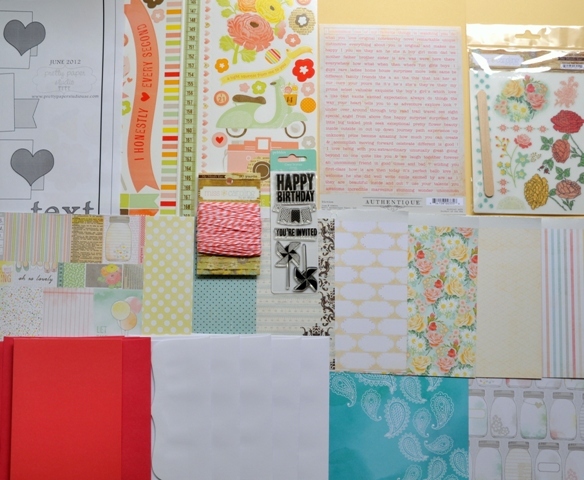 They are a relatively new online store who specialize in Scrapbooking kits, cardmaking kits and various other products related to paper crafting. They offer monthly sketch challenges for both Layouts and Cards. I was delighted when the kit arrived nicely packaged with everything neatly enclosed. Most designer’s turn to inspiration from paper, dies etc however little motivation is needed, because with one of these kits, it’s easy to create your own handmade greeting cards with a healthy mix of their beautifully coordinated papers, embellishments, rub-on sheet, stickers, twines, and rubber stamps, which are included in these creative paper craft kits. These kits called “a little something” are for AED 225 / AED 205 for subscribers. 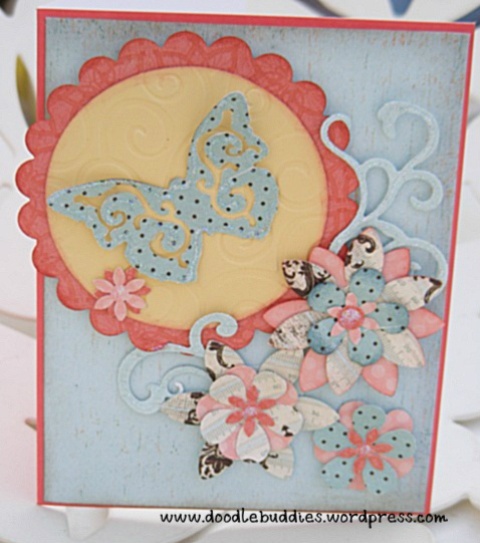 You’ll need to have a paper craft adhesive on hand when making your cards. 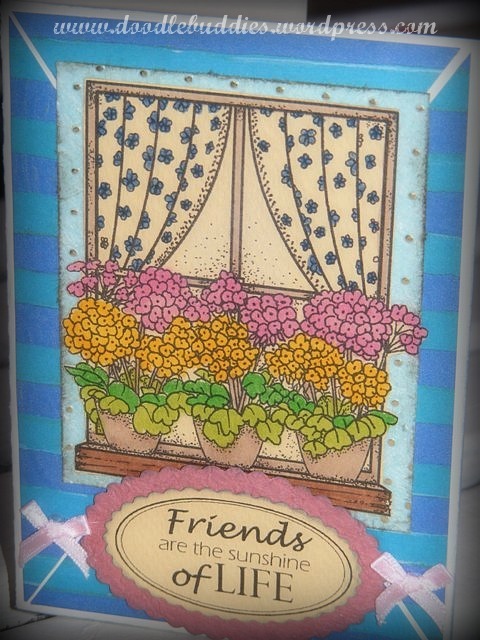 Typical scrapbooking adhesives work very well for card making applications. Glue dots, glue sticks, double-sided tape, and tape runners are all good options. The June card kit called “a little something ” was a breath of fresh air and I, all but painted the town red !!! Playing with the various elements : colors, designs and embellishments was such fun. I was so overwhelmed, feeling that I had so many possible ideas with all these gorgeous papers and I just didn’t know which idea to start with ! I am sure, you will be smitten with the contents as well ! I have posted only 5 of the cards here which I will be posting individually in 5 different blog posts, describing the elements and details, at a later stage. 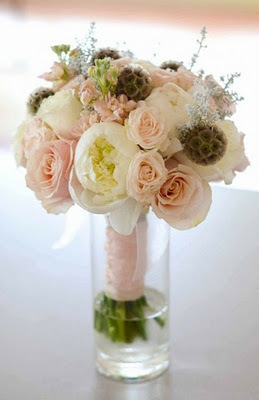 Thank you for visiting my blog home today. I hope you enjoyed your stay and visit me again. Please drop me a line and share your thoughts too, so I could visit you as well. New Year ~ New Home. Feels so good to get all that feed back from all the lovely design team members of all the card challenges, that I join. Thank you so much for taking the time to visit me and all your encouragement. This next card is naturally for a new home. Very simple digital stamp sentiment. Dont you just love that window ?? I do. Those tulips are just adorable. Any color could do justice to them. The window image is also a digital stamp. I’ve used my new diecut to set the sentiment over. The design paper is also a first time for me. Love the feel of that mustard against a green backdrop. Thats why, It gives me a great sense of relief and pleasure, that I am not the only crafter who is struggling with excess supplies ! Its such a joy when others are also complaining helplessly about the one to many crafty must-haves they have collected. Let me stop brooding now and let me bid farewell to you guys for today. Thank you for visiting me today. While your here, I hope you browse thru some of my previous creative adventures. And if you like something, please leave some love behind in comments. Have an awesome weekend ! First off, I am so so happy to be back and connect with all of you’ll. I know, I have been neglecting this blog for a couple of months but with good reason, I promise. Not only the scores of restoration projects in the house but also in the courtyard and garage kept my hands full ~ literally ~ of spray paint and acrylics. And then ofcourse, November/December are my peak months for craft classes as well as fairs. I have totally enjoyed the 6 fairs I participated it back to back thru out December ~ not to mention the greeting card orders that kept coming my way, until I had to stop being polite and refuse some of the orders. Ok so noooooow, I can hear some of you asking, how did I manage to stuff so many projects at one time ! Well, there you go ! Now you understand why this lovely blog, was being so neglected. Having said that, I now have heaps of projects to share with you’ll. This new year brings with it a promise ~ a promise of change. Whether a change is for the good or for the worse is for time to prove and our own attitudes to see the glass half empty or half full. But I have always felt, change, especially when it is not gradual, is always for the best and its easier to adjust. I look forward to making a few crucial decisions and I look forward to a few crucial decisions made FOR me by the Almighty. And I totally look forward to making more and more new friends. For some of you wondering, how come, I dont reply in the comment column. ~ well, I actually do. I write back personal messages to the person concerned on their email address which is supplied while she leaves a message for me. These comments are very close to me and are food for my creativity. You guys who visit me so often and leave so much love behind are priceless for me. Honest. I had to submitt around 80+ new cards for samples and I wished to share some of the surplus designs that I had made in the past 2-3 weeks. This card here, has such gorgeous colors. 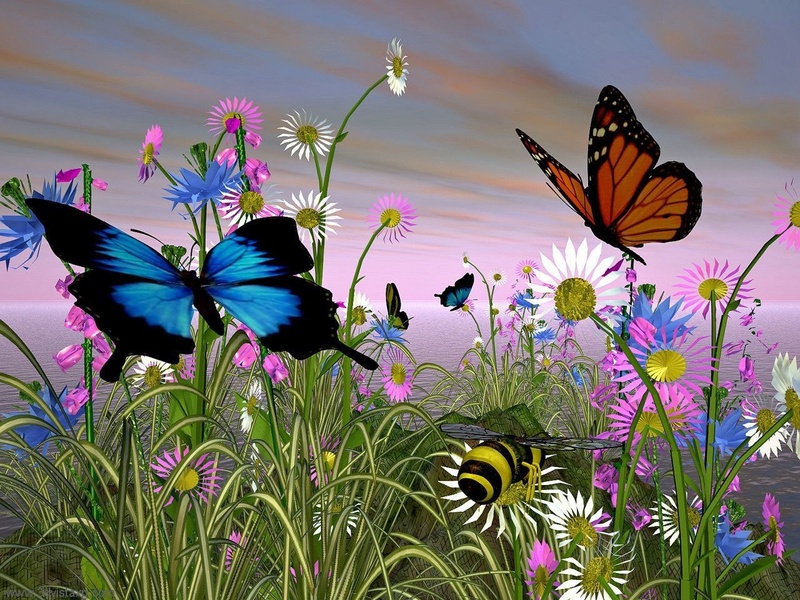 Nothing like the green grass and being sourrounded by spring flowers and jewelled butterflies. 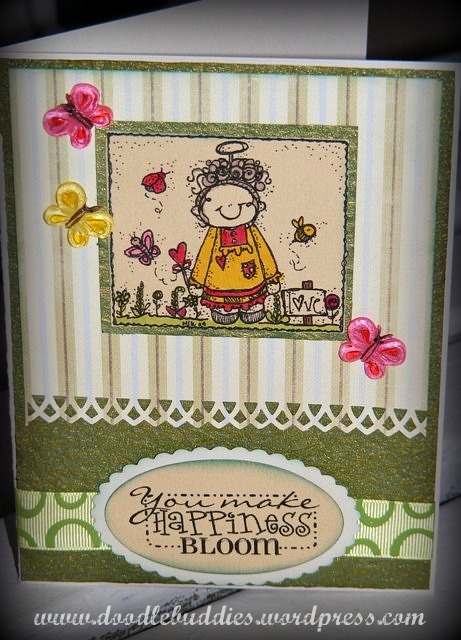 The cute angel mom/lady tending to her garden is a digital stamp from my dear friend Nikki of Melonheadz. The ribbon is one of my newer additions and so is the Martha stewart border punch. 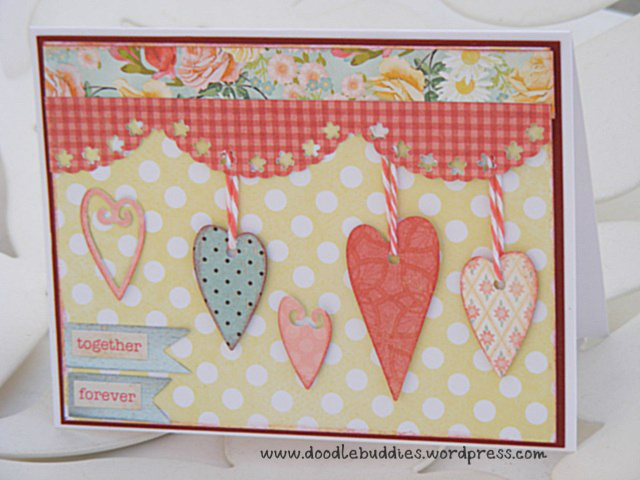 Awesome heart warming sentiment which is digi stamp cut by oval diecut. I know, this could also be an ideal valentines card, which is just around the corner. Imagine receiving such a lovely message from a friend. I hope you guys liked this card. So I’m hoping you will leave some love here with your messages. Have an awesome weekend and thank the Almighty Allah for all the blessings he has showered upon us. Alter Art, Altered Wall hanging, Challenges, Mother, Recyling, Reuse, Reduce. The boys enjoyed a good many hours at the Dubai Ski. They have a new super pass for dhs 200 each child, that entitles them to four of the more adventurous rides in addition to the regular snow park. I loved watching the boys going crazy in the snow when the temperature outside was 45 C ~ Yukh to that. Boys are amazing ~ they never tire ~ first they talk about whats going to happen in the movie endlessly, BEFORE we see the movie. Then they talk hours together about how the action scenes took place, how the helicopters fell, optimus prime, the kid etc etc etc etc etc etc etc etc …… if you were actually counting those etcs then you know how annoying it can be when they go on and on and on ….. The weird thing is …. while the movie was on ….. Their 3D glasses were glued to them and their heads in just one direction for the whole 2 hours !!! Not a word out of them !! ~~~~ While mom kept going,” wow”, “awesome”, “did you see that ?? ?” “Holy moly, now whos going to save them”, “Oh fish, his arms gone …… ” Writing this right now, I know, they must feel the same way about me while they were excietedly watching the movie. Ok, I get it, Role reversals right ?? Ok Ok, I got it. I talk when they watch, they talk when I watch them ! 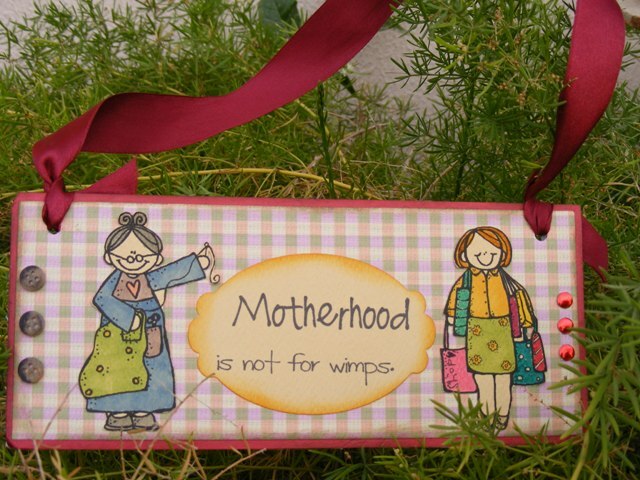 This here, is a relatively simple plaque on foam board, with a simple message and two different period Moms. The office going/shopping away, confident mom dressed in bright summery colors while the other happy- at- home, super efficient homemaker, sewing away with all her worldly wisdom. Both with equally difficult and demanding jobs. Cooking, kids, office, deadlines etc. Not an easy task by any measure. Hence I really took to this sentiment. Buttons for the homemaker and brads for the Career mom. Both the digistamps are from my friend Nikki from Melon Headz. Please remember to drop over at her site to pick some out-of-the-world free digital stamps. The sentiment on the die cut is also digital stamp, however, unfortunetly, I dont recall, whom does it belong to. Love the check base DP ~ love the colors used in this project ~ truly timeless. The ribbon is satin. Here is the wall hanging. 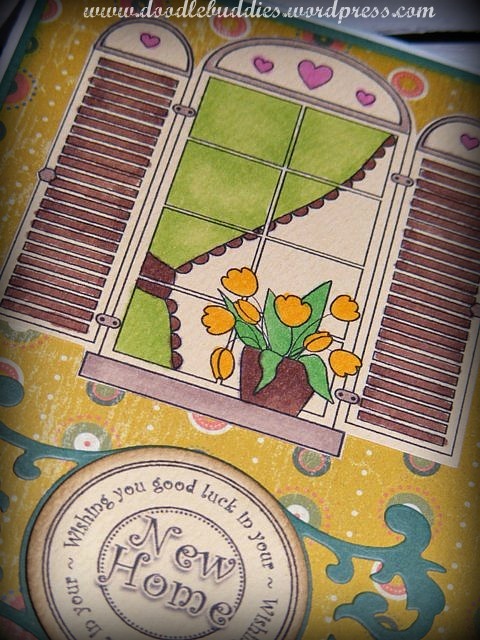 Shelly’s Images – SIO – 3 of the following: punches, ribbon, digi images.